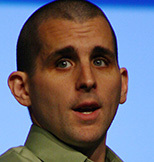 Scott Berkun is the best selling author of Confessions of a Public Speaker, The Myths of Innovation, and Making Things Happen. His work as a writer and public speaker have appeared in the The Washington Post, The New York Times, Wired Magazine, Fast Company, Forbes Magazine, and other media. He has taught creative thinking at the University of Washington and has been a regular commentator on CNBC, MSNBC and National Public Radio. His many popular essays and entertaining lectures can be found for free on his blog at Scott Berkun. "Not many how-to books can both inform and entertain. Berkun has written such a book." "Myths of Innovation is strongly recommended for anyone interested in innovation and creativity especially as it applies to practical applications." "Warning: Reading this book will make you analyze the next 100 speakers you hear! While doing this you should improve your own skill sets but it will make those speeches tuff to sit through!" "All in all, a meaningful and fun read, even if you think youll never do any public speaking. Watch out...you might open your mouth and find yourself on a Committee or making a report to your work group. Or worse yet, Chairman of a Board! This book will ease your fears and give you great tools to help any speaking task." "The author has a warm, involving style with an anecdotal approach...Anyone who is nervous about speaking in public (ie every-one!) would benefit from reading this book. " "The work is a great read, and should be considered for anyone's bedside reading list." "The book is easy reading, full of tips, and provides valuable advice to both the beginner and more experienced speaker; well worth reading. " "Confessions of a Public Speaker is one of my favorites in 2010." "Wonderfully written! Most public speaking books are written by speaking experts who, if I were to guess, are not authors by nature." "...well worth the read. Not a how-to but more of a how-I type of book; more reading for leisure than reading for training but if thats what you want, very definitely worth your £££ or $$$"
"Confessions of a Public Speaker is something different, with the inside and personal story of a great public speaker, that is entertaining, inspiring and stuffed full of tips of the nature of public speaking and what makes a great public speaker." "Quite simply this is the best book on public speaking I have ever read." "In sum, this book is a must have for the shelf of any public speaker alongside other classics like Slide:ology..."
"I have been reading Scott Berkuns Confessions of a Public Speaker (OReilly, 2009) for literally two months now. It isnt that it is hard to read, or boring, as it is neither of these. In fact, the reason is that I keep finding things I want to follow up, or to try out myself, and in doing so I frequently set the book down and actually went out and did things. That is the highest form of praise I can give for Confessions." "The book is easy to digest, the content is top-notch, and the text is just as long as it needs to be to make its point--just like a great talk, and just like a good blog post, so I'll stop here. If you want to improve your public speaking, pick up a copy of this book right away." "If you are among the many who have the responsibility to speak in public, whether to a group of colleagues or to a cavernous hall of conventioneers, this book will not only help to prepare you, but will entertain you in the process." "If you get only one good tip from this book, it's worth it. "